Is There Still Value in Face-to-Face Interaction? We are currently in one of the most exciting eras for digital communication. Between social media giants – Twitter, Facebook and LinkedIn – and the vast array of digital communication options like text, email and web conferencing, people have more vessels for information than ever before. The technological advances of the digital age have allowed global communities to be better connected and more collaborative than ever before. Information is readily available through more channels than any other time in history. However, what we’ve gained in availability, we may have lost in personal connection. Visit any of your favorite restaurants and you’ll find people sitting across from one another, not talking, and eyes fixated on their phones. I am not anti-technology and on occasion am guilty of the same. When my wife and I are out having dinner, I feel as if I should have made the reservations for three: me, my wife and her phone. It’s not just after-hours where we see this phenomenon either. 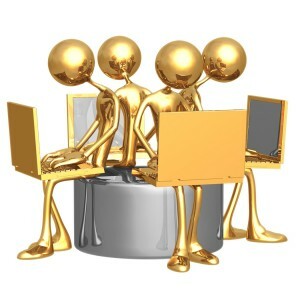 In today’s business world, important information is relayed online or electronically. The person receiving the information can’t hear our voice, see our body language or see our smile (or frown). Many people entering into the workforce today may not have developed the “silent fluency” that comes from face-to-face interaction. Call me old school, but I still find value in face-to-face interaction. Maybe it’s because I’ve always been in customer facing roles throughout my career. I find that I am rarely able to deepen customer relationships, negotiate or close a deal, or solve a customer’s issue through email, text or social media. There always needs to be a phone call or meeting to really understand the situation before I can act on it. I appreciate the convenience of the digital conversation but not the sincerity. There is still something very satisfying when telling someone they did a good job instead of retweeting them, shaking their hand instead of sending them a friend request, laughing at a joke instead of hitting the “like” button, or even having a face-to-face conversation over coffee or lunch.